The Mazda MX-5 is best thought of as a blank canvas. A front-engined, rear-wheel drive starting point for the project car of your dreams. 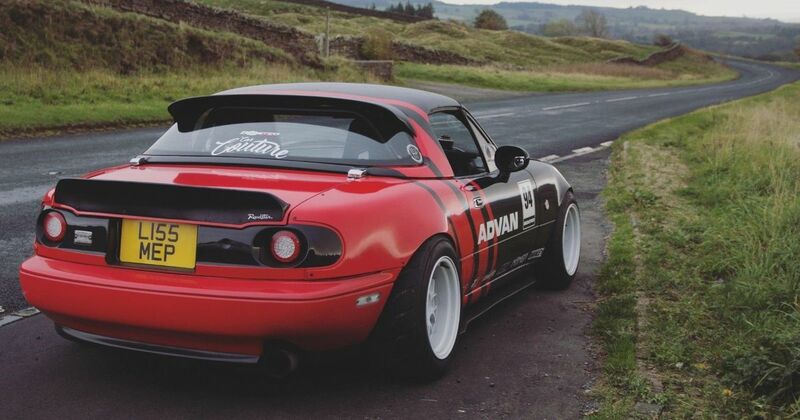 So prolific is the aftermarket MX-5 scene, however, that you don’t necessarily have to do the work yourself: there are all kinds of massively modded Miatas out there to choose from. Like this one. If the MX-5 is a blank canvas, then this one is a meticulously painted masterpiece. It’s an ‘NA’ first-gen Miata with one hell of a spec, with two numbers grabbing our attention first: 409bhp and 365lb ft of torque. This is developed from the car’s inline-four thanks to a Garrett GT3076R turbocharger running at 1.5 bar, although the seller claims the engine is capable of “much more”. 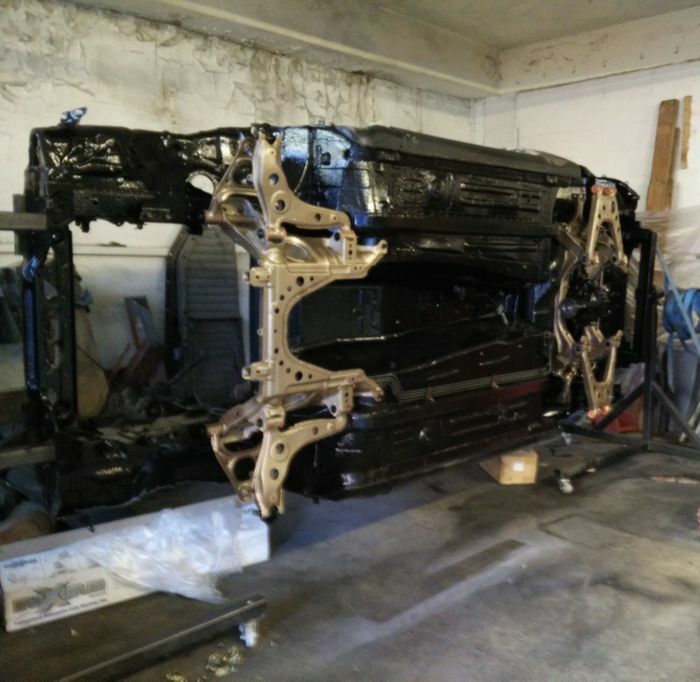 At 2 bar, it’ll apparently be good for more like 500bhp. With its upgraded valve springs, the engine is said to be capable of revving to 9000rpm, although it’s currently making peak power at a still very zingy 8000rpm. The overbored block runs JE Pistons, while the cylinder head is from the NB-generation MX-5. Finishing off proceedings nicely is a Mazda 323 rocker cover with ‘universe paint’. To make sure that power actually goes to the road rather than just generating large clouds of smoke, there’s a Torsen limited-slip differential at the back, and Toyo Proxes R888R semi-slick tyres sitting at each corner. 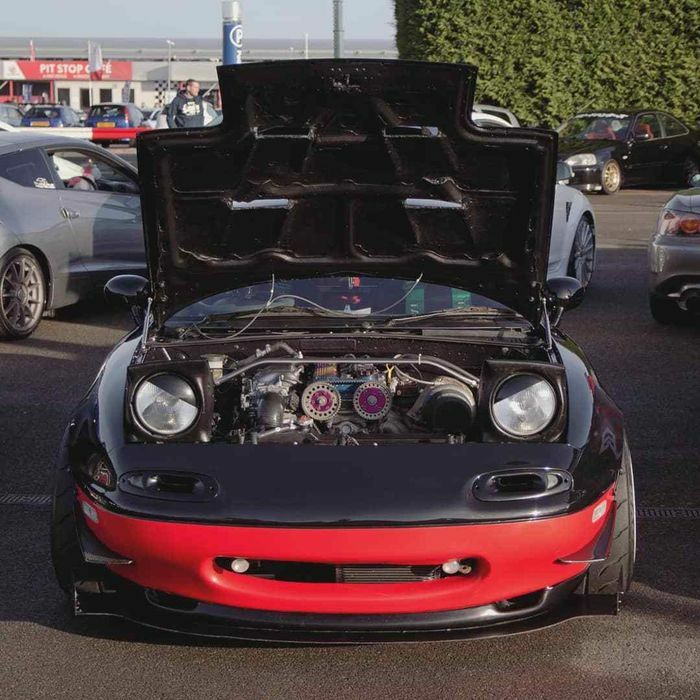 Thankfully, the NA’s soft and roll-happy chassis hasn’t been left alone. It has a full polybush kit plus HSD Dualtech performance coilovers, and to make sure it stops promptly, it’s received a big brake kit plus slotted discs and EBC Yellow Stuff pads. If you want an MX-5 that flies under the radar, this probably isn’t one for you. 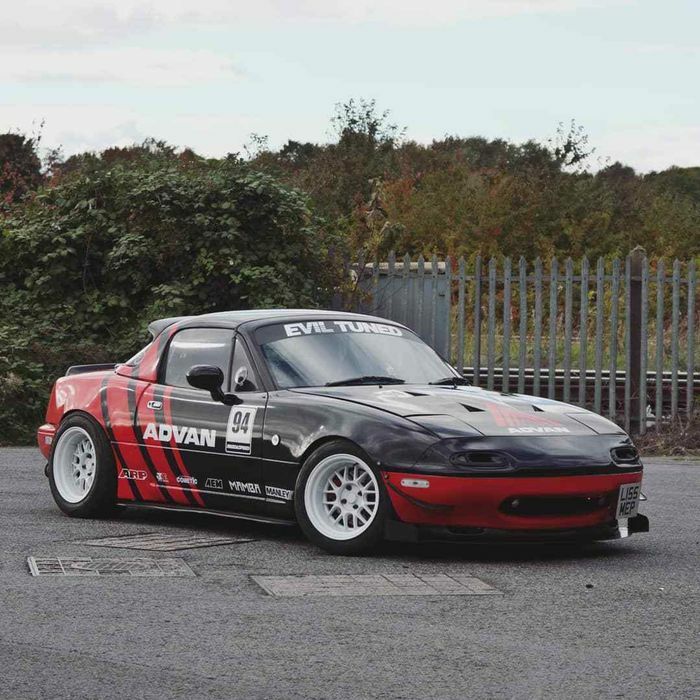 It’s been given a wide-arch conversion, various aero parts, and a striking ‘Advan’ livery. Our favourite exterior feature? That’d be the ducktail spoiler. On the inside, meanwhile, you’ll find Sparco Sprint bucket seats, Takata harnesses and a Nardi steering wheel. The price for all this? 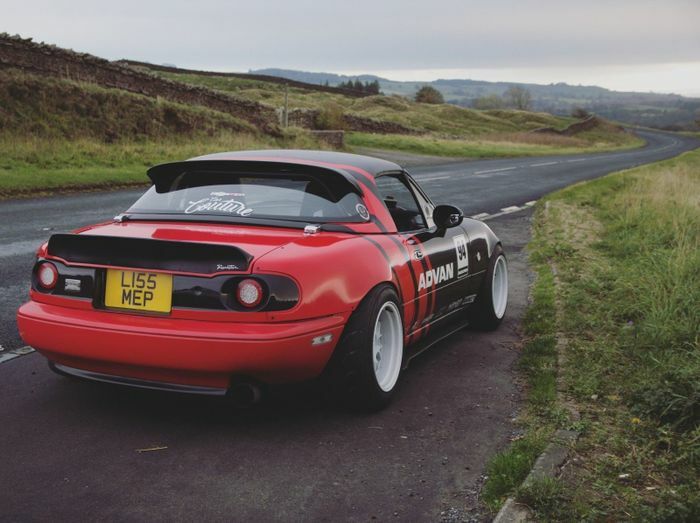 £15,000, which might seem like a lot for a first-gen MX-5, but we can easily see the owner having spent much, much more getting the car to where it is today. In terms of what’s been done to it, we’ve only just scratched the surface, so we recommend taking a look at the brilliantly detailed classifieds advert.